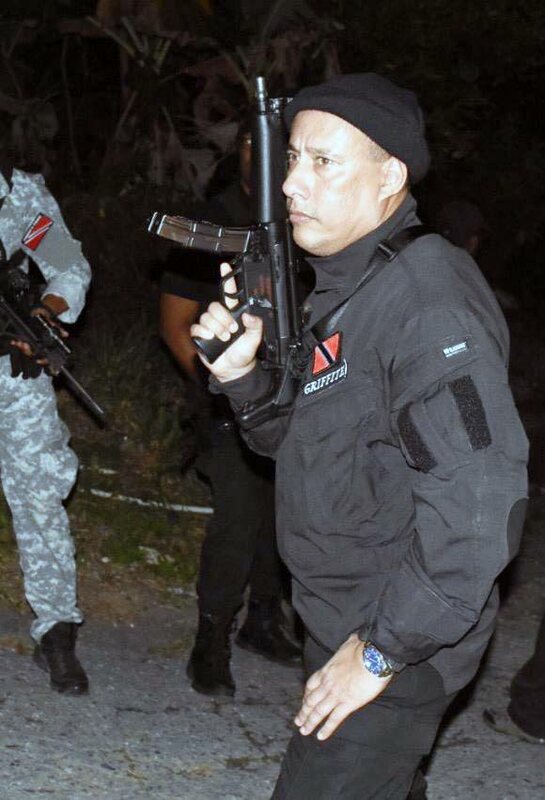 COMMISSIONER of Police Gary Griffith took first aim as he officially opened the National Top Gun Handgun Championship yesterday, hosted by the police sports shooting section, at Tucker Valley Range, Chaguaramas. Griffith opened the event by successfully shooting his two assigned targets; he was accompanied by patron of the Police Wives Association, Nicole Dyer Griffith, who also displayed her skills in the use of firearms. Griffith said this training will better equip officers to preserve their lives. The CoP also said that with immediate effect, everyone with firearm users licences will be mandated to undertake regular firearms training. Over 100 marksmen from the police, Defence Force, Cadet Force, Trinidad Rifle Association, South Trinidad Rifle Association and Tobago took part in the event. Chairman of the sports shooting section Supt (Ag) Wayne Mystar thanked Griffith for his participation and said this was the first time a Commissioner had opened the event. The match was the first of six championships which are held annually. The top 33 sharpshooters from the six matches qualify to compete at the National Top Gun Event that determines the best sharpshooter in the country. The tournament is geared towards improving the shooting standard of police through competition. Reply to "Gary opens National Top Gun Championship"